Divorce cases are almost always difficult, and those involving military personnel can add another layer of complications. 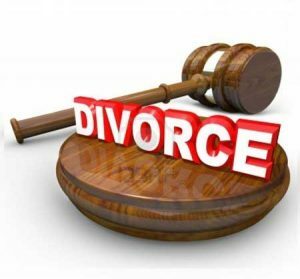 Plaintiffs must pay attention to particular divorce rules under SCRA so as to avoid fines, penalties and even possible imprisonment. The Servicemembers Civil Relief Act (SCRA) is a law protecting members of the military. Congress passed this federal law with the intention to cut down on distractions for soldiers engaged in operations. Thus, the SCRA prevents litigants from pursuing certain actions such as divorce and child custody cases against deployed military personnel without a court order. Further, individual states can and do pass SCRA laws that go above and beyond the federal SCRA. Therefore, it is critical to stay informed of these local statutes to avoid violations. If the plaintiff knows the defendant is or has been in the military but is not currently deployed, or has no idea about military service, it is best to obtain a nonmilitary affidavit before filing with the courts. If a defendant does not appear for the initial hearing, courts often will want proof that the he or she is not on active duty. Deployment will affect the manner in which the case moves forward. Proof of nonmilitary status, attained through a Defense Manpower Data Center database search or use of a third-party agency, is often necessary. This proof certifies that the plaintiff has done his or her due diligence in determining the defendant’s military status. Courts will usually require an affidavit, which, unlike the DMDC, you can only get through a qualified third-party service. The SCRA does not provide or require you to fill out particular government forms; however, some individual courts do, so you should check prior to the hearing dates in each separate jurisdiction. Most courts accept properly prepared affidavits, but this acceptance is not a given under all circumstances. The military affidavit should specify the specific date to search. (This is also called the active duty status date.) The response covers the active duty status date and 365 days prior thereto. If you want to search for a period longer than a year, you must request separate searches for each year. The easiest way to get the fastest search results is by submitting the defendant’s Social Security number. However, if this information is not readily available, it is possible to obtain verification with other identifying information. This includes names, addresses, birthdays, driver’s license numbers, family members’ names, etc. The DMDC will not provide verification under this scenario, however; you must go through a third party. If the defendant does not appear and the plaintiff does not have the proper documentation to prove whether the defendant is in the military, the judge will likely continue the case for 90 days. Since this documentation can usually be obtained within 24 hours, a three-month delay is a lengthy setback that can be easily avoided. Especially in cases involving abuse, child custody issues or serious and pressing financial affairs, a delay can transform an inconvenience into a disaster. Plaintiffs must pay attention to divorce rules under SCRA to avoid fines, penalties and even possible imprisonment. In any divorce or family law case in which plaintiffs suspect that a defendant may fail to appear at the initial hearing, it is best to be proactive and obtain a nonmilitary affidavit prior to the court date so that the case can proceed unimpeded.